Often at the cost of efficiency, the appearance of equity and fairness must be present. This is further complicated by long timeframes to get budgets into place. For example, contract sources need to be in place well in advance of the actual need. Finally, government agencies will never go bankrupt or are defunded because of project failure. On government projects, budget issues emanate from one foundational fact: the project is funded by public money. This triggers a whole set of rules and practices that otherwise would not be there. Following are some of the key budget challenges on government projects. With the purpose of leveling the playing field and keeping it simple and uniform; contractors are paid based upon the time they spend, and not on performance or value of deliveries. Usually there are extended periods of budgeting at various levels before the funding is even bucketed to a project. This sometimes can result in phases of award, such as pre-award, award, post-award. This can be especially problematic in a fast evolving environment, particularly in the technology arena, where the ability to accomplish an objective within the constraints of the budgeting process can be severely limited. One of the difficulties of budgeting is that while it may be a hurdle to get appropriations budgeted for a particular project, once it is in place, it is difficult to take it back! 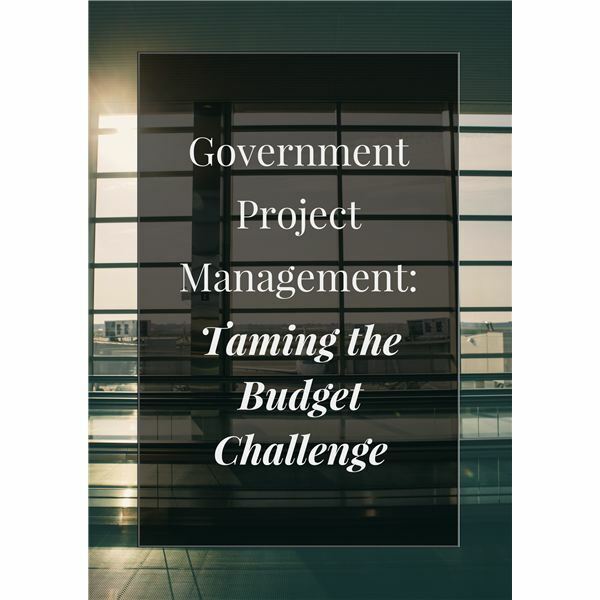 On government projects, project authorization can be a very staid process, with limited flexibility and agility. Government agencies will never go bankrupt or be defunded because of project failure. This makes it all the more paramount for a responsible project management team to budget carefully and watch the budget carefully throughout the project. However, this effort often partly goes against the current. All of this places a big challenge on the shoulders of the project management team for how to deliver the required value on time and within budget. Have you had some positive experiences to share on some innovative ways to accomplish this?